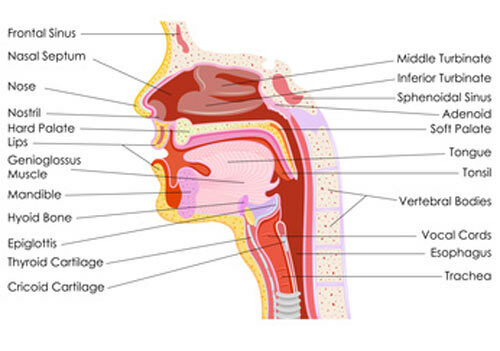 Can genioglossus advancement surgery (tongue advancement) cure sleep apnea? Read more about the benefits and side effects of genioglossus surgery. One of the most frequent causes of upper airway blockage in obstructive sleep apnea is the tongue. It can collapse toward the back of the throat during sleep, therefore contributing to obstruction of the airway. To improve the collapsibility of the tongue, you can choose tongue retaining devices, or in severe cases - surgery, such as tongue advancement and tongue reduction. What is the Genioglossus Muscle? The genioglossus is the largest muscle of the tongue that runs from the back of the chin (genial tubercles) to the tongue. A relaxation of this muscle together with jaw and neck muscles during sleep is implicated in obstructive sleep apnea. The reason for this obstruction is that by relaxation of the tongue muscle during sleep, this muscle could obstruct the airway passage by falling backwards. Where is the Genioglossus Muscle Situated? Because the genioglossus muscle plays a major role in nocturnal airway obstruction, the surgery will place this muscle under tension, thus restricting the collapse of the tongue into the airway during sleep. How Tongue Advancement Surgery is Performed? Because the genioglossus muscle from the tongue is attached to the back of the chin (genial tubercles), the surgeon will pull a small segment from the chin forward and the tongue will advance as well, so that it is less likely to collapse and block the airway during sleep. Of course, the small segment will have to be cut surgically from the mandible (inferior sagittal osteotomy of the mandible) to be pulled forward (in exterior). So the surgery starts with an incision approximately 10 mm below the mucogingival junction (the junction between the soft mucus membrane of the oral cavity and the gingiva). The cut will have a rectangular shape. This rectangular small bone will be partially rotated to prevent retraction back into the floor of the mouth, and immobilized with a titanium screw. The procedure is performed under general anesthesia with intubation, where the tube is passed through the mouth and vocal apparatus into the trachea to improve ventilation during surgery. if you didn't try CPAP therapy, I recommend to try the CPAP as the last option available. And then, if your not compliant...go for surgery. the main cause of your nocturnal airway obstruction should be the collapse of your tongue, not the palatal collapse. avoid the surgery if you have major cardiovascular or pulmonary disorders. the procedure is done through the oral cavity, so there are no scars or signs on the skin. this surgery does not change the position of your chin, jaws or teeth. the surgery shouldn't take more than an hour long; however, overnight hospitalization is usually recommended afterward, and a hospital stay of about 2 or 3 days is sufficient. the success rate can be quite variable, ranging from 22% to 67%. However, combined with UPPP, tongue reduction surgery, or hyoid suspension, the success rate may increase to almost 80%. speech and swallowing are not usually affected, or are temporary. during the postoperative phase, you still need a nasal continuous positive airway pressure, because you don't know yet how successful is the surgery. you may feel numbness of the lower lip for several weeks. dysphagia for up to one week. Risk of infection. Taking antibiotics an hour before surgery can help reduce this risk.Too much bleeding could potentially cause a blockage of airway.Jaw fracture from cutting the rectangular small bone.Damage to lower teeth, requiring extraction or root canal therapy. many surgeons avoid to use this type of surgery due to complications, but they use as an alternative the hyoid suspension.Hyoid suspension can be performed more rapidly and is the only procedure which can be performed under locan anesthesia, and is less prone to complications. Bottom line... Search for a surgeon that has a lot of experience with genioglossus advancement surgery for sleep apnea, or choose other procedures with less complications.